But let me ask you, what are some of your most memorable vacations as a child? If you were fortunate enough to have parents that took you camping, I would bet that those memories are at the top of the list. Of course, times were different when I was a child, we didn’t take elaborate vacations and I don’t remember any of my friends that did either. My parents did take us to the Lake of the Ozarks though. Standing on the dock and catching little perch with my sister is one of my fondest memories. We put them in a bucket of water and then released them all at the end of the day. We were never afraid to get ooey-gooey worm guts stuff on our hands as we baited our hooks with them! I know, we’re worm murderers! One of my adult children’s most talked about memories is when we took them camping as kids to a place called Onion Valley in the Sierra Nevada mountains. When we arrived the friendly park ranger filled us in on the active bear population in the area. Our daughter and her friend decided right then and there they were sleeping in our van with the doors locked! That night, soon after the rest of us were snuggled into our sleeping bags we became aware of what was obvious bear sounds close by. We could hear it grunting and shuffling by. All I could do was lay there in silent terror and pray it didn’t decide to check out the inside of the tent! Bears aside, camping in the great outdoors holds lots of benefits for children and families. I now love to take camping trips with my children and grandchildren. For me, it really beats standing in a long line in the heat for 45 minutes or longer waiting to ride a ride that might last all of 5 minutes. 1. Health benefits; your days are spent in the outdoors breathing in fresh air and soaking up the sunshine and along with it Vit D, which many of us are lacking. 2. The great outdoors decreases your stress and elevates your mood! The stress of the city falls away as you drive deeper into the forest, nearer the lake or higher in the mountains. 3. Camping helps to build family relationships. Theme parks aren’t relaxing and don’t include spending much time in situations that are conducive to talking and sharing as a family, but camping usually does. Whether it’s sitting and fishing together, taking a hike together, paddling around in a kayak or canoe together or sitting around the campfire, you’ll find the chatter will flow. Maybe a ghost story or two will ensue! 4. From the littlest of creatures to the mightiest of trees, you can use this time to create an appreciation for nature and the world we live in. 5. Financially speaking, a camping trip will be much easier on your wallet than one of the big theme parks. 6. Offers new challenges. Showers, cooking, sleeping, personal hygiene – no shower down the hall, or oven in the kitchen; all of these things are done differently when out in nature and create new challenges. 7. Camping gets you up and moving whether it’s swimming, hiking or maybe a scavenger hunt! Depending on where you go, taking your bicycles along might be appropriate. We have kayaks and a paddle boat we like to take if we’re camping at a lake. To help get your little ones engaged, I’ve created two scavenger hunt printables for different age groups. Go on a photo safari. Give each child a list of things they are to find and take pictures of. Find and identify animal tracks. Collect items from nature, such as leaves, pine cones, flowers, etc. Count how many different bird species you see. Every camping trip must include making smores around the campfire! Tell me, do your summer plans include a camping trip or theme park vacation or both? P.S. Check out my Facebook page, where I am giving these lanterns away for Win-It-Wednesday! This post will be shared with the lovely link parties found on my “Where I Party” page! Love the idea of a camping adventure with my family because staying “unplugged” and communicating is very important. 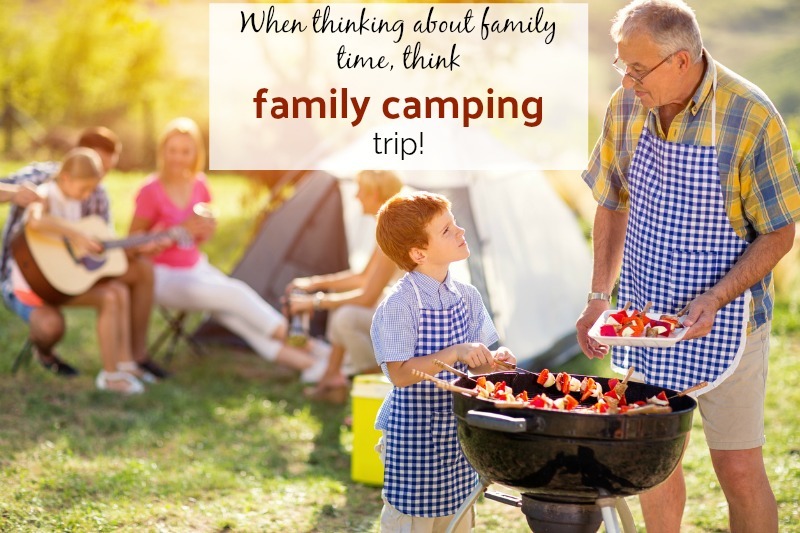 Plus, we can make lots of family memories on a camping trip! My hubs and I go camping a lot so this would be awesome! We go camping at Lake Rudolph Camp ground and RV Resort and it just so happens that Holiday World & Splashin’ Safari is right next door, so we always go to the water park 1 day! We are planning 1 more trip before school starts up now! My family went to a theme park this summer but hope to go camping in august or September when it’s not so humid. A couple of years ago we rented an RV at a campsite and had SO much fun! We still enjoyed certain comforts, which was great since we have such little kids, but spent so much quality time outdoors. I can’t wait to go tent camping with our kids as they get older! We love camping! It’s a fun way to have family time together! I love to take the kids camping, they never want to go home and I agree. Usually we go as a big group. This year we have added geo caching to our list of things to do. The kids are happy just throwing rocks in the river.Thank you for awesome giveaway. We love camping. Went a couple of weeks ago for my birthday with the grandkids. Had a blast painting rocks and leaving them at different campsites. Wow… We just came back from a theme park and it was my daughter’s 1st time. I had not been to a theme park in a very long time. Your story is very true about waiting in long lines and not much interaction with each other. It was not a relaxing vacation. My daughter likes for us to put a fire in our fire pit and make Smores. She loves fireflies and loved looking at the stars. I think next vacation we take will be camping. I’ve never camped but sounds like a great way to make memories. As a kid just going on a road trip to visits family was what I remember the most. Thank you. We’ve never taken the kids camping but would love to! I would absolutely love to go camping. Theme parks are not my cup of tea since I dislike crowds, noise, and trash strewn everywhere. I think my kids would enjoy it as the closest experience they’ve had to this has been at the ranch. Limited electronics and roughing it is something we all need. I love the scavenger hunt print outs! I have a 4 and 8 year old so I love that there are 2 options. We are going camping in 3 weeks. Camping sounds like fun. I’m sure the families that go create a ton of memories. My husband and I are the only ones at home now and no grandchildren, so just vacationing in the backyard is good for us, lol! My family camps almost every other weekend and when we can for a week at a time…some times it’s a tent and sometimes we take the camper…my kids love it ! Nothing better…we have never taken a big vacation with them…I am not sure we would want to change our camping trips ! Me and my whole family are destined to go camping over the weekend, so this article with the great tips and pointers is just on time. I thank you so much for helping us out. We used to go camping a lot every summer for years. I haven’t been in a few years and I miss it. I would love to go and take my grandkids. I know they would love it! Camping is so much more memorable than most mini vacations or weekend getaways. It’s spending time with family and being out of touch with technology so your family can bond together and enjoy each other’s company. We love being out in nature and fishing, cooking over the fire, hiking, teaching the kids basic survival skills while out camping. We loved to go camping when I was younger. I can’t wait to start taking my son camping when he is older. Some of my best memories were going camping with my grandfather! Awesome! We love to go camping by the river! We do Scavenger hunts a lot but doing one at night would be a fun way to twist it up! Love these lanterns for camping and for power failures at home. I love the scavenger hunt idea! I think having time to unplug and do some activities together as a family is very important. I love that people are getting back to basics and reconnecting through camping… love this lantern!! My family has been camping for several years now and love it. We love camping, and we took our children camping when they were growing up. I agree that it’s healthy and helps to make family memories. Thank you for linking up at #BloggingGrandmothersLinkParty. I’m sharing your link on social media. Thank you, Carol! And do you find that those are some of your children’s best memories? I think I especially love the nights around the campfire and the smores that usually go along with it! I have never been a camping kind of girl but you made it sound fun. Thanks for sharing with us at #BloggingGrandmothersLinkParty. I’ve shared on social media. Thank you Clearissa! I’ve always enjoyed camping, but we never seem to be able to get there as often as I would like. Great points! Our family went camping for the very first time last month. I hope you enjoyed your first camping trip! I was terrified years ago when we could hear the bear shuffling by and grunting! For now, we still camp in a tent, but Paul and I are planning to buy a fifth wheel to do lots of traveling in when he retires. Hopefully next summer! 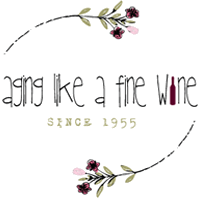 I really appreciate you Dee and all you do to bring other bloggers together. I love camping. I try to go every summer but it gets really hard with the kids, because they’re not into it. Maybe next year. Number 5 is my biggest reason for cmaping/outdoor activities. Just take a step back and try to notice how many things are being sold to you, like constantly. And I’m not just talking about advertisements. How many times have you heard “Oh, you NEED to travel abroad, get some culture!” or “Come out and get some drinks with us, it’s the weekend!” or “Have you seen (Insert New Movie Name Here) yet? WHY NOT?!? !” – These are all societal pressures built by their respective industries to pressure you into spending money. Now, of course you shouldn’t forgo ALL of the pleasures life has to offer, but at the same time if you give into all of them you’ll end up broke like waaaaay too many people out there. Camping is a great way to keep those costs down while still having an amazing time!